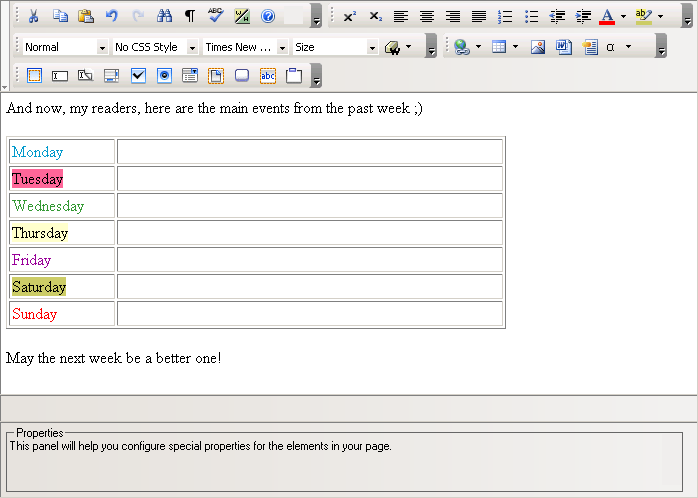 A template (or content template) is a predefined structure/design that you can use any time by inserting it in page. 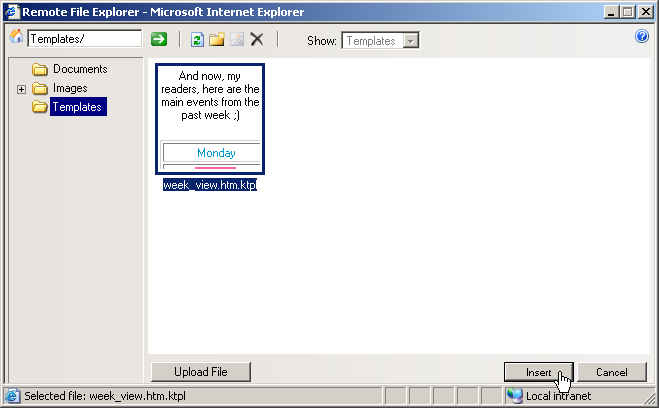 In the D-Web context, a template is stored in a .ktpl file that you can insert in page. The main role of a content template is to reduce work time and minimize editing. For example, if at the end of the week you summarize in your blog ("online diary") the main event that happened in each day, a template will save you significant time: you do not have to write the common part every week (a table, days etc.). 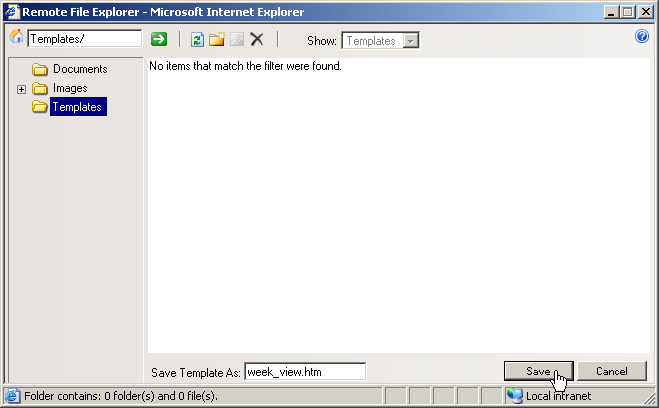 Note: Click here to learn more about configuring the Remote File Explorer window when saving a new template. Note: In order to create a template, the D-Web area does not have to be empty at first. 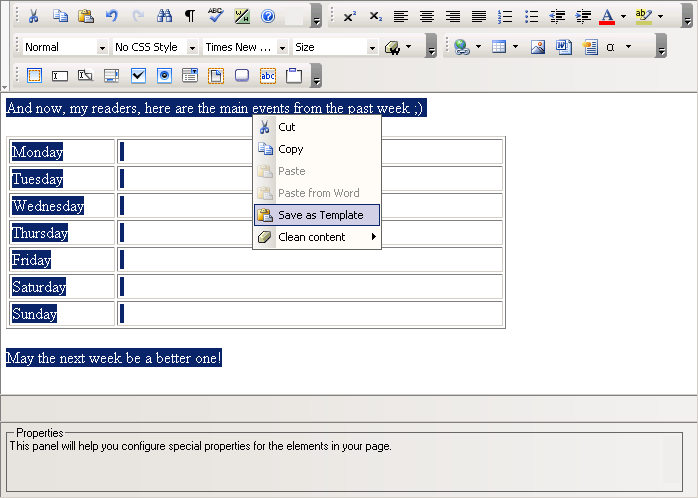 You can even save pieces of page content as a template: simply select that certain section, right-click and then choose the Save as Template option (just like shown above).